I don’t have a plan for the day. So,let’s just draft down some of the Bollywood movies that I admire and love watching over and over again.The cinema which has impacted me,taught me things and has made me enjoy my life till 24.That way I can keep a track of the evolution of my taste if I stumble upon this document 30 years down the lane. The movie was released at the time when Bollywood was in a dismal state,producing one catastrophe after the other. DCH was like a breath of fresh air.Original .No villains.No fighting sequences.No melodrama.Plain.Simple.Refreshing and youthful ! Maintaining a vivid yet tranquil pace throughout,Dil Chahta Hai is woven around the love and life discovering experiences of three Mumbai lads.”What your heart wishes,just go with it” is a sort of theme that persists throughout the film.It has everything. Comedy, drama, great songs, love stories,exotic locations and some truly heart touching moments, which we tend to ignore at times in our real lives. DCH just floats along like an opera and the FRIENDSHIP part takes you on a song.It’s more of a character driven cinema rather than the script-driven and they end up staying in your system forever. Farhan’s directorial rawness and the unharnessed energy engages the audience to perfection for 3 long hours.The movie did mark the evolution of a new era in the Bollywood. Haan waise bhi perfection ko improve karna mushkil hota hai. Centred on the coal mafia of Dhanbad(Jharkhand),GOW is an epic tale about fidelity,crime, lust, betrayal,politics and vendetta. A cinematic chef d’oeuvre ! 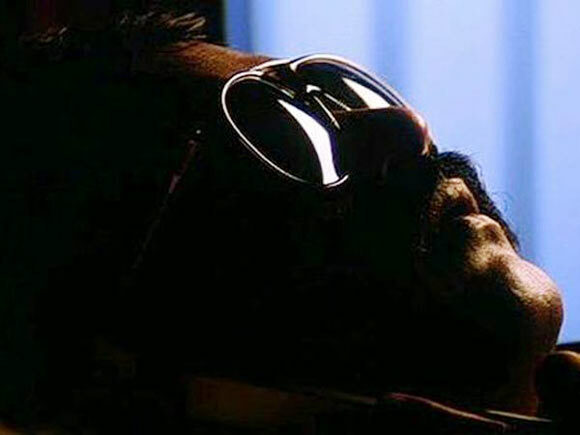 Anurag Kashyap has put his soul into each character and that is visible from every frame of the movie.The direction ,the bloodshed,black humour,witty characters, adultery, bullets,vengeance and the slangs have truly given it a cult status quo. This is India’s Pulp Fiction. The one thing that truly holds out for me are the dialogues. They are sharp and as close to reality as it can get. 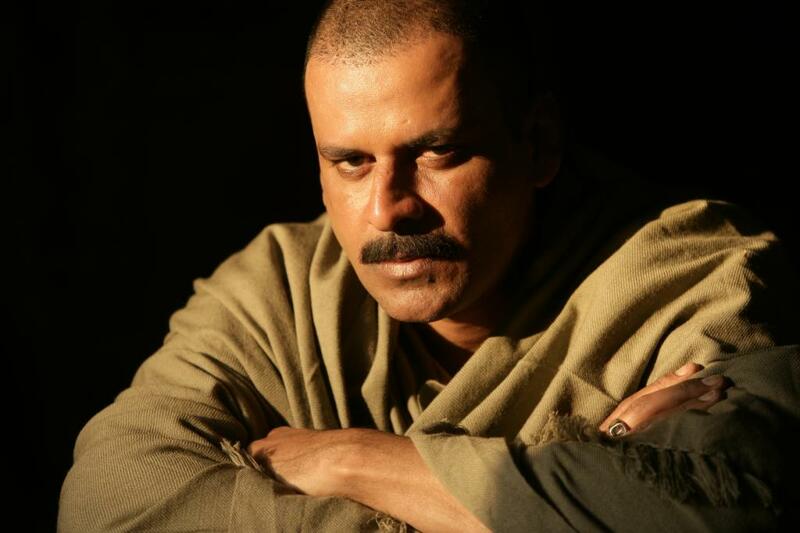 Manoj Bajpai has proved once again that he is the patron in the business especially,when it boils down to this kind of honest cinema.The screenplay is well structured and the music by Sneha Khanwalkar has added a new dimension to the movie. Hamare abbu ko marat hai. Hamare abbu uski gaadi mein baith ke uske saath gaye they.Kabhi laute hi nahi. Hamari zindaggi ka ek hi maqsad hai. Badla ! Ramadhir Singh ko budhappan ka seedhi chadte hue dekha nahi jaata. Us haraami ko humein mitana hai. Goli Nahi Maarenge Saale ko,Keh Ke Lenge Uski ! Usey uski aukaat batayenge.Dheerey dheerey uska sab kuch chheen lenge,apne aap hi mar jayega madarchod. Queen is story of a naive middle class girl living in Rajouri Garden(Delhi),who decides to go on her honeymoon to Paris and Amsterdam alone, when her fiancé dumps her two days prior to the wedding. It is a journey of discovering oneself. 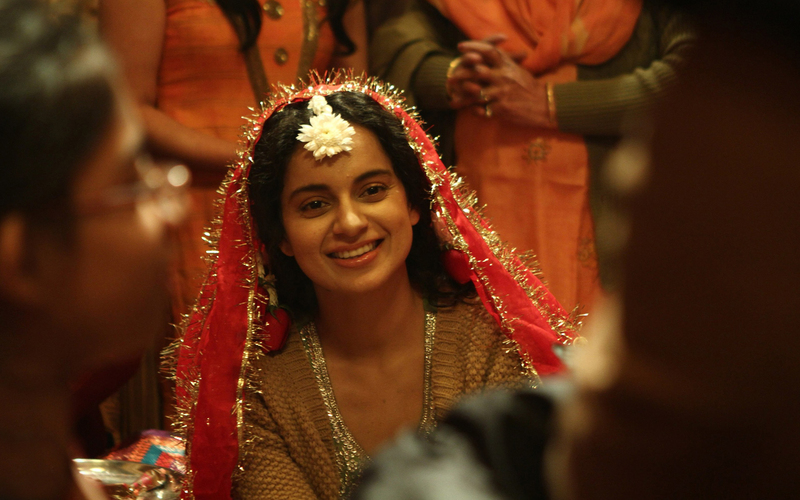 Kangana Ranaut is the real Rani in the film .She is a delight to watch especially when it comes to acting and portraying the real life emotions on the big screen.She is spectacular and steals your heart with her innocence,confidence and simplicity. Mera haal na Gupta uncle ke jaisa ho gaya hai. Gupta uncle ko na cancer ho gaya . Unhone kabhi sharab nahi pi, cigarette nahi pi, phir bhi cancer ho gaya. Isse accha toh pi hi lete. More than the commercial or critical success,the movie has done wonders to the 90’s kids,has made their childhood awesome by offering such epic one liners. Salman Khan is hilarious. But Aamir Khan steals the show with his witty dialogue delivery.AAA is a comical genius. 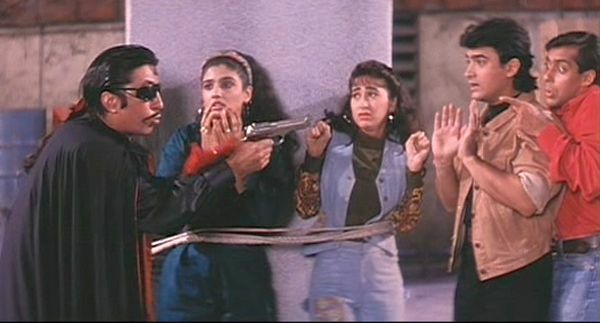 Crime master Gogo naam hai mera … aankhein nikaal kar gotiyaan khelta hoon main. Gotiyan ! Kahaan hai tumhara boss Teja ? Mera paisa lekar bhaag gaya. The film is based on the journalist Hussain Zaidi’s thoroughly researched book,Black Friday;on the 1993 serial bomb blasts in Mumbai.You need balls to show such a controversial issue so blatantly and Mr. Anurag Kashyap has done it with chivalry and brevity. The film definitely exposes some old scars but only to find the root cause of it ! Only to find the cure for them ! Only to make sure they are eradicated and are never resurfaced . Black Friday has given a new direction to the realistic cinema by referring to the real names, real incidents, and real people.Take a bow Mr. Kashyap ! It tries to make a point that how some evil souls make their business out of our religious sentiments, at the cost of human lives. The trauma not only affects a specific religion,rather the entire humanity.Technically too, the film is impeccable. Everyone has acted beautifully in the film but Badshah Khan, Asgar Mukadam,and Tiger Memon stand out of the league.Music by Indian Ocean, is in sync with the theme.Despite the length of the movie(the same case with all his movies) the director never loses the plot and that’s really commendable. Black Friday for that matter, is amongst the greatest films Indian cinema has ever produced. Watch it NOW ,in case you have missed it.But within an open mindset. It’s not for the faint hearted ! Remember it. An eye for an eye makes the whole world blind – MK Gandhi. Bakwaas kar rahe ho tum ! Allah kabhi begunaho ko nahi maarta. Har sachche aadmi ke saath allah hota hai.Unka bhi wahi bhagwan hota hai. Woh farq nahi karta. Farq tumlog karte ho saalo. Aur is baar allah hamare saath tha.Hamare saath tha isliye tumhe woh Maruti van wahaan chhodni padi. Hamare saath tha isliye do mahino mein humne do sau giraftaariyan ki. Agar allah tumhare saath hota to tum yahaan nahi hote.Humein koi saboot nahi milta. Tumhare saath tha Tiger Memon jisne tumhare gusse ka fayda uthaya. Pehla bomb lagne se pehle hi nikal liya.Apne pariwaar ko lekar.Chhod gaya tumhe.Bhugatne ! Danda khane ! Usne tumlogo ko chutiya banaya.Jaante ho kyun ? Hmmm.kyunkii tum chutiye ho.Dharam ke naam par chutiye ban gaye tumlog.Aur bante rahoge. Tumhe maarne wala woh har hindu banta rahega.Har woh aadmi jiske paas kuch nahi hai karne ko,dharam ke naam par chutiya banta rahega. Whenever I hear this word,it gives me the zeal to achieve something significant in my life.The movie is based on a teenager’s journey to freedom and pursuing his dreams. Even before I write anything on the script,direction or even acting;let me comment on it’s music.By far , this movie has produced the best poetic songs and soundtracks in the history of Indian cinema.Amit Trivedi,tohfa kabool karo ! Coming back to the crux, Udaan is a story of a teenage boy,Rohan(who comes back home after 8 years,after getting expelled from a boarding school) who rebels against his cocky father to work in his factory and runs away to become a writer along with his younger half brother.It is an anecdote of Rohan’s struggle with his loneliness and desperation. It is not a commercial cinema but the film has got a lot of soul. Udaan is a coming-of-age movie that you can connect to,because of its probity.Every scene is ingeniously shot.Vikramaditya Motwane’s direction deserves a medal and so does Ronit Roy for being the perfect scoundrel.Rohan has delivered one of the most subtle, yet effective role by putting up a stoic face against the circumstances, yet showing us the vulnerable teenager within. Jo lehron se aage nazar dekh paati toh tum jaan lete main kya sochta hoon. Wo aawaz tumko bhi jo bhed jaati toh tum jaan lete main kya sochta hoon. Chak De India is a narrative of a hockey player(Mir Ranjan Negi), who returns to the game as a coach of a women’s hockey team in a process of redeeming himself of the allegations that were put on him when after a disastrous loss to the Pakistan. 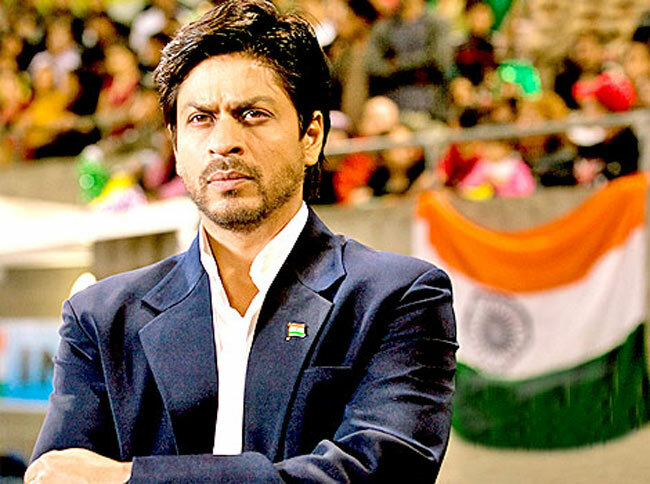 Chak De India- A still from the World Cup Final. Chak De explores religious prejudice, ethnic bias and sexism in the contemporary India through the field of hockey. The movie is about unity in diversity. It urges everyone to put THE GAME above everything.It is real, engrossing and nationalistic without being chauvinistic. Chak De shows hockey not just a sport,as a larger than life thing for the people who have sacrificed so much in their life just to represent India. There is a storyline.There is no room for big stars,schmaltz,foreign locations and whacky songs.So,if you are expecting it to be another Yashraj film;it is not the movie for you my friend. For a change,Shahrukh has not over acted and has done a sensible job,incredible is the word here.I believe it’s his only rational movie apart from Swades. The credit of the movie goes to Jaideep Sahni for crafting well etched-out characters and Shamit Amin for his superb direction. Sattar minute hai tumhaare paas.shaayad tumhaare zindagi ke sabse khaas sattar minute. bas itna kahunga, ki jaao aur yeh sattar minute jee bhar kar khel lo. lekin yeh sattar minute, tumse koi nahi chheen sakta, koi nahin!! aaj main tumhein nahi bataaunga, balki tum mujhe bataaoge, khel kar. iss team ka har player apni zindagi ki sabsi badiya hockey khel gaya toh yeh sattar minute khuda bhi tumse waapas nahin maang sakta. apne sattar minute chheen lo. Jab We Met is a tale of instances ,conversations and a romantic journey that transcends from a train after a depressed businessman befriends a carefree,over expressive and alarmingly loud yet friendly Punjabi girl Geet from Bhatinda;in a train. One simply does not love the movie unless he knows each and every dialogue by heart and can recite if it’s put on mute.Yes, I can proudly do that. I rank this as my all-time best romantic movie. If a director has the courage to take an outdated story line and execute it to a perfection,then the guy has got some serious talent.Trust me,only Imtiaz Ali could have pulled off that.His belief and the actors’ dedication towards owning the characters made it such a grand success that it revived both Shahid’s and Kareena’s career completely.The dialogues are sparkling despite being mature. The funny moments are truly jolly and emotions look real. The chemistry between them is absolutely electrifying. Toh kisne kahaa tha train se utarne ke liye. Hain ? Tumhe hoshiyaar rehna tha.Ab kya karogi ? Jawaani ka josh. samajhti nahi ! Dekho zindagi ek rail ki patri hai, ek inch ka bend aur meelo ki doori hai. Tumhari chhoti si bhool tumhari zindaggi kharab kar sakti hai. Haan meri bhi kayi traine choothi hai par un dino mein main mard tha… matlab abhi mard hoon, lekin tum ek ladki ho!! Akeli ladki khuli tijori ki tarah hoti hai. Haan. tumhe pata hai tumhare saath kya kya ho sakta hai! Main batat hu. Based on Macbeth, Maqbool is arguably the best adaptation of a Shakespearean play ever,which also happens to be my all time Vishal Bhardwaj’s favourite saga. The plot is set up in Mumbai,with the underworld mafia as the mainstay. Pankaj Kapoor plays the role of a powerful Godfather like person with Muqbool(Macbeth’s equivalent) as his right hand. Om Puri and Naseer sahab are the corrupt officials portraying the witches. Tabu(the lady Macbeth), the king’s mistress loves Muqbool and seduces him to be the king and plots the king’s assassination. Piyush Mishra as Banquo is equally delightful to watch.As a lead character, Irfan Khan seeps the correct levels of vulnerability and passion.Watching his character react to the highs and lows of his life keeps you equipped. Tabu can be the synonym of a dark evil in the film.Her gradual insanity is heart- wrenching. Shakti ka santulan bahut zaroori hai sansar mein. The movie is rooted on Sperm donation with Vicky Arora, a typical young Delhi based,fun loving,happy go lucky Punjabi guy as a protagonist.Despite the concept being a taboo in India,this movie is a family entertainer.Neither does is it cater to any sort of vulgarity nor does it really dwell too much on the sensitive nature of infertility as public message on preaching sperm donation.It’s witty,funny and emotional. Baba ne “tathastu” keeta aur hogaye. PS : Main filmy tha,main filmy hoon,main filmy hi rahoonga ! This entry was posted in Films and tagged #FRIENDS, Aamir Khan, Amsterdam, Andaaz Apna Apna, Annu Kapoor, Anurag Kashyap, banksy, Bhatinda, Black Friday, Bollywood, Cannes, Chak De India, Cinema, Connaught Place, Delhi, Dil Chahta Hai, Farhan, Farhan Akhtar, Films, Filmy, Freedom, Gangs Of Wasseypur, Goa, Godfather, Hockey, Hussain Zaidi, Imtiaz Ali, India, Irrfan Khan, Jab We Met, Jharkhand, Kangana Ranaut, Kareena Kapoor, Macbeth, Manoj Bajpai, Mir Ranjan Negi, MK Gandhi, Mumbai, Muqbool, naseeruddin shah, Om Puri, Paris, Piyush Mishra, Poems, Pulp Fiction, Queen, Salman Khan, Shahid Kapoor, Sneha Khanwalkar, Tabu, Tarantino, Udaan, Vicky Donor, Vikramaditya Motwane, Vishal Bhardwaj, Wings, Writer, Yami Gautam, Yashraj by lalitvijay. Bookmark the permalink.